Since I have been cooking, I am always looking at ways to make things from scratch. I’ll admit that I am not one who is constantly flipping over a box or packet, looking to see what all of the ingredients are, but when I do, I get a bit appalled. Try it once. First check out all of the ingredients that make up, well, for this example, taco seasoning, or better yet a box of hamburger helper. Now granted, in this case, taco seasoning only has a few things that bother me, such as ingredients of citric acid, potato starch, and whey, but you know where I am coming from. My point is that if you can make it yourself, and it tastes spot on, and better yet, you know what you are putting into it, than all the better. A couple of things to note here. First, I can never find taco seasoning in bulk at the store, and that bothers me. 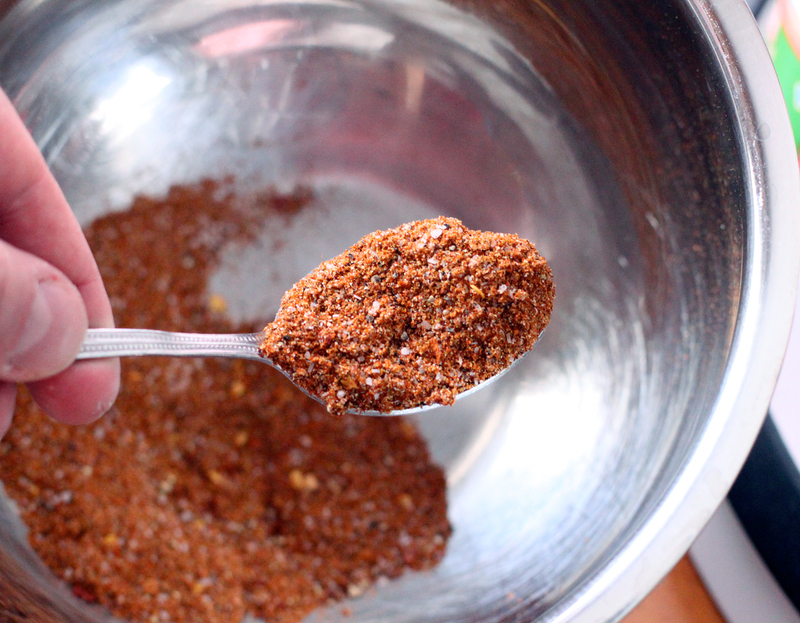 Yes, I do admit that I have purchased plenty of taco seasoning packets in the past, but to tell you the truth, I have never been impressed with them, and when we are making tacos or nachos on a weekly basis, well, heck, I went out and came up with my own batch of homemade taco seasoning. It’s spot on in flavor, makes a bunch so you have plenty to store, and it doesn’t use citric acid or potato starch. Go figure. That’s it. Most if not all of us already have these spices in our cupboard, and when I experimented with the flavor profile of taco seasoning, I knew this combination would work out just fine, and it did. Now every year I create a spice blend for some of my family members, work colleagues, and my blog followers, and what I recently learned from the folks at the Spice House in Milwaukee, is that when making a blend, it is important to mix the ingredients, like 1,000 mixes. Yes, that’s right. Typically I would just throw everything in a large bowl and mix it about 100 times, but who knew I was doing it all wrong. So with any treatment, I mixed this one about the same. Add everything to your mixing bowl, and if you have a KitchenAid mixer use it. Mix around 1000 times. This is great exercise for you or your child should you not have a mixer. When you are finished, pour into an airtight, sealable container, and store in a cool, dark cupboard. I used some with some cooked meat the last time we had taco Tuesday, and everyone devoured the meal. We all know what that means. They were hungry, and there were no complaints with my flavor profile which means I got it right. So when you have the opportunity to make things from scratch, give it a shot. You’ll be happy knowing what was put into a recipe, and not questioning things like citric acid and whey. Hope you enjoy! When you are finished, pour into an airtight, sealable container, and store in a cool, dark cupboard. Good mix. I have been fairly successful in following ingredient list from Penzeys for their blends. In some cases, it is better to just order the blend if it has esoteric ingredients that you don’t normally use.